Lips ain't just for talking and kissing ya know, they also make the best makeup canvas too - and these beautifully intricate designs are all the proof we need. 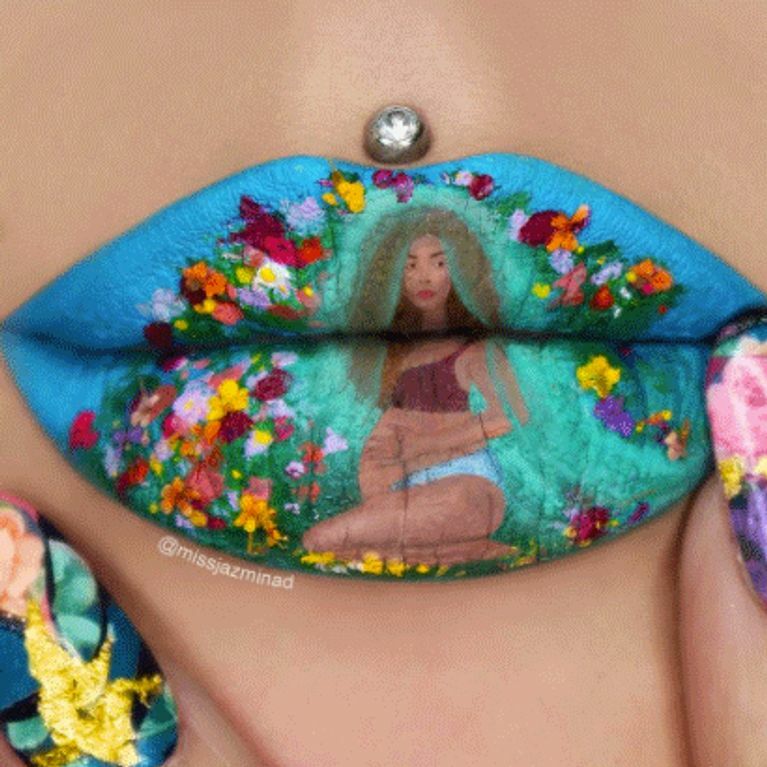 From delightful Disney designs to sassy sparkles and crystal prints, here's our pick of the best lip art on the 'net from a host of talented divas putting our bog standard matte gloss to shame. If you fancy yourself as a bit of a makeup mastro then allow me to introduce the next trick for you to tick off your list: intricate AF lip art. Yep, while I sit here still trying to contour for the hundredth time, these MUA's (that's makeup artists to you and I) are showing off some serious skills, using their mouths as masterpieces to create everything from geometric prints to magical movie moments. But wallflowers beware, if you do manage to master these designs for yourself, you're guaranteed to be the centre of attention - no question about it. Here we've scoured Instagram all in the name of beauty, to find the most artsy and out there designs for you to marvel over. Just know that any cheeky smooching is suitably OFF the menu when sporting these adventurous looks, 'cos even if Ryan Gosling himself happened to proposition you, no dishy admirer is worth smudging these works of art for. Better stock up on the glitter 'cos Saturday night never looked so sassy! Have you been inspired to try these designs out yourself? Tweet us your efforts @SoFeminineUK! QUIZ: Which MAC Lipstick Best Suits Your Personality?